Wow. Twenty-eight years after its release, it turns out that the classic Guns N’ Roses tune “Sweet Child O’ Mine” might be a rip-off. 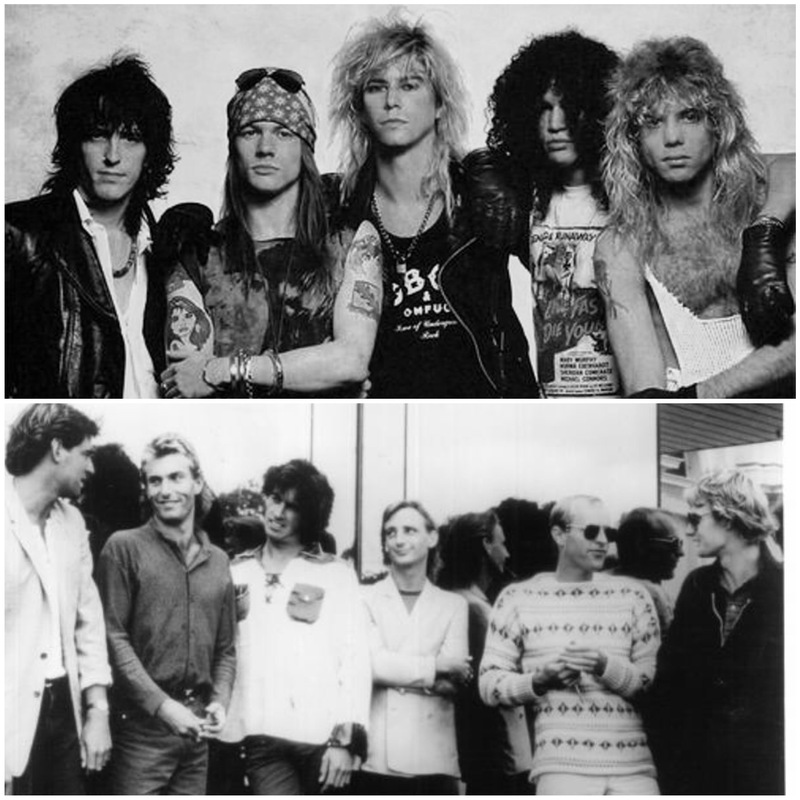 The conversation started recently when Australian blog Max TV posted an article about the similarities between “Sweet Child O’ Mine” (1987) and Australian Crawl’s “Unpublished Critics” (1981) both with Geffen Records. Max TV cited “the same chugging chord progression, a similarly-sweeping lead break, the verse melody, and the elongated one-syllable vocal in the chorus…” As you can imagine, this has caused quite an uproar. It is not inconceivable that there are similarities between the two songs. It’s also not inconceivable that there may be vaguely legs in something. It’s also not inconceivable that when they came out they were quite open in interviews that they liked a lot of Australian bands. It’s also not inconceivable that they wouldn’t have been aware of certain Australian songs. God forbid I had an active publishing company and they investigated the possibility. I’m not about to take on the might of the Guns N’ Roses lawyers. I’ve listened to them side by side over and over, and the similarities are striking. What do you think? Did Guns N’ Roses do anything wrong?